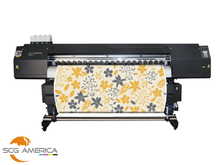 AE3200-S2 large format inkjet printer is applied in advertisement, digital textile printing, leather transfer, home decoration wallpaper and etc.. It’s designed with Epson DX5 print head, the best controlling system in China and excellent structure to get the best printing performance and ultimate printing speed. We are dedicated to strictly select materials to supply our customers with best support and cost performance. 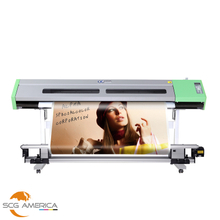 The AJ-1600 is a high quality eco solvent printer, is the ideal digital solution for detailed indoor signage, as well as for high volume signage applications. 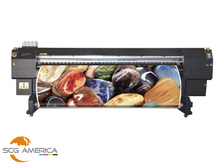 Equipped with DX5 print heads and 7 variable droplet systems, the AJ1600ES can produce flawless images across a wide variety of media such as vinyl, banner fabric, synthetics, film, canvas and much more. 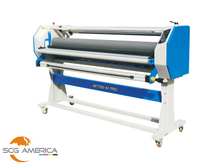 The three-independent heating system can assure the proper temperature of media to create an outstanding performance, along with its advanced electrical system guarantees a consistent and efficient operation of the printer. 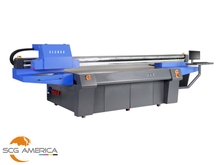 The AJ1600ES incorporates the latest technology to meet the rising needs of the signage industry. It creates vibrant high-quality images. The AJ1600ES 3200-TX6 printer can suit all your customer needs and deliver the fastest return on investment. The UV Flatbed HQ-2513/HQ-2030 is an innovative printer with technology that makes possible a high-quality printing in all kind of materials. 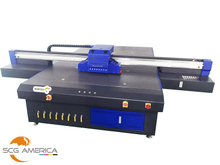 The UV flatbed unique Industrial design guarantees stability for an outstanding quality printing on irregular shapes and uneven surfaces. The UV Flatbed HQ-2513 is the ideal solution for complex industrial or commercial printing where accuracy and consistency are crucial.